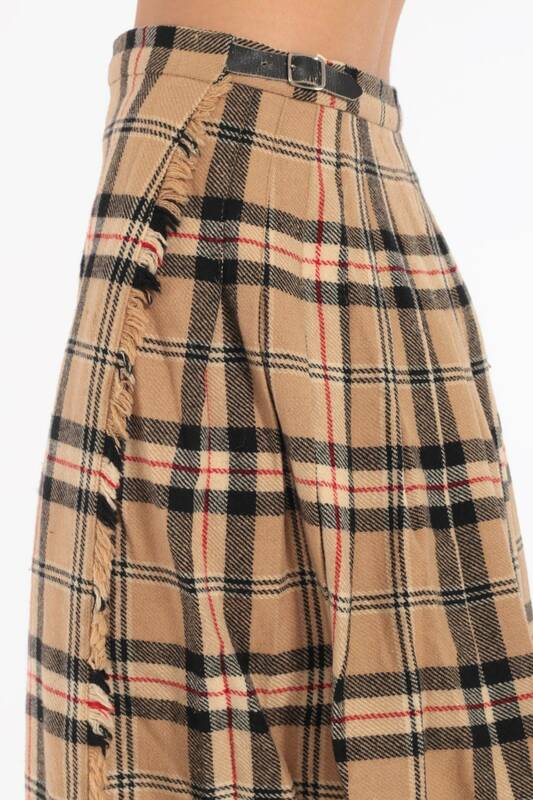 Vintage 80s skirt by Clan Laird, made in Scotland. 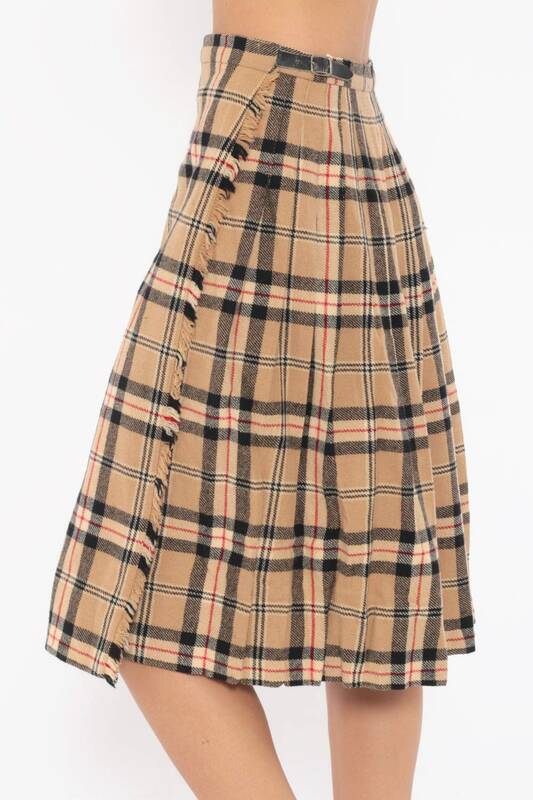 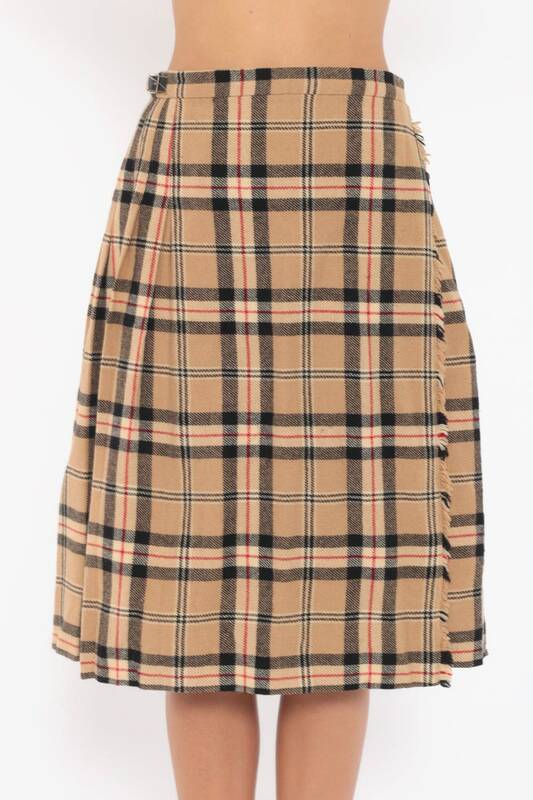 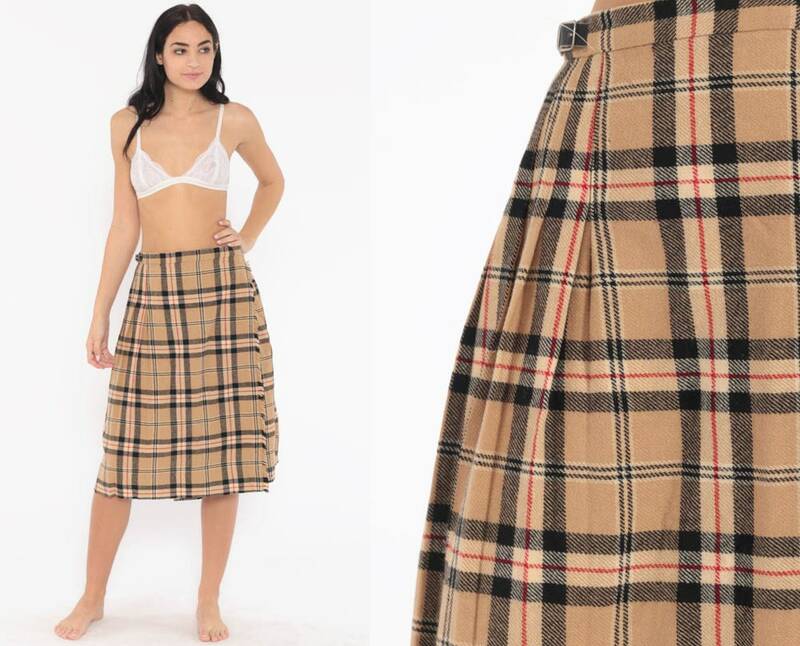 Tan plaid wool with pleats and a high waist with buckles on the sides. 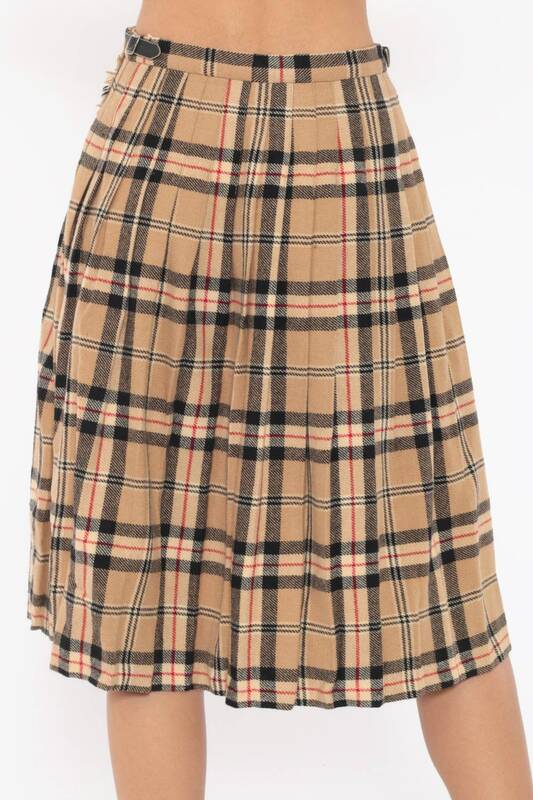 Midi length.